You are currently browsing the tag archive for the ‘home remodeling’ tag. So long white, this rich hue is taking kitchens by storm. We asked the homeowners and designers behind our favorite blue kitchens, what’s your go-to paint color? Here are 10 swatches they swear by. Excellent chart to help you prepare for remodeling your home. It can be a dirty, longer than you thought, and more expensive project than you planned for but in the end, it is so worth it. As someone who has actually lived in more than half a dozen homes as they are remodeled (with kids & pets while maintaining a full time job, participating in all the school and child related activities), I can tell you to plan, re-plan, adjust, think about what do you really need, plan again, be flexible, pay attention to details, have patience and a sense of humor. You will get through it and your home will be better. Nothing like bringing home a newborn to a house that has plastic tarps for a roof and it rains for the first time ever in that month in history, sleeping on a futon in the middle of the living room and there is NO working kitchen. “Oh sure, Annalisa, we will have it all finished at least 3 months before the baby comes!” so they said. We survived, the house looked great and functioned much better than before and the baby in question turns 25 next month and is an awesome woman. If you are wistfully looking out the window right now wishing it were time for vacation, you are not alone. In fact, Sherwin-Williams just announced the 2018 color of the year, and it basically looks like vacation splattered all over your walls. Sherwin-Williams has declared Oceanside their color of the year. It’s a deep blue-green hue that can’t help but make us think of travel. We want to be sitting by the ocean enjoying the breeze. Instead, we’re at work. Dreaming. If a vacation isn’t on your horizon quite yet, then painting your house with the hues of the ocean is a great backup choice. And if you are looking to be part of the trend but painting your walls is not an option right now, there are lots of great accessories that give you the same vibe, but will also allow you to get your security deposit back. . Here are some of our favorite accessories that closely resemble Oceanside and will give your home a nice burst of color. This wall art found on Etsy is giving us all sorts of calming nature vibes. We also love this fantastic hand-tufted rug, a great way to brighten even the most basic of room decor. Or, finally, this blanket from Ikea is a fun way to brighten up your drab couch. Remodeling ROI. Which project will pay the greatest return when you sell? Whether you’re thinking about modernizing a room in your home or rehabbing an entire house, you’ll want to make sure the money you invest in the project has a positive effect on your home’s value. Before you start tearing up tile, ripping out old plaster or buying that “handyman’s special” you’ve had your eye on, consider consulting a professional real estate appraiser about the economics of your proposed project. Is the improvement feasible and marketable? Are neighborhood trends pointing to an upward cycle? Amorin encouraged homeowners contemplating renovation projects to compare the planned improvement to what’s standard in the community. “Projects that move a home well beyond community norms are typically not worth the cost when the owner sells the property,” he says. Make sure essential repairs are completed before you start improving — a posh sauna won’t make up for a leaky roof. In fact, simple and relatively inexpensive repairs such as plastering and painting could earn a better return on your investment than some major improvement projects. Many buyers can’t overlook tacky paint colors, old or dirty carpet and ugly kitchen cabinets. Start with freshening up what you already have before adding new features to your home. When deciding what to improve first, take a look around and find out what other homebuyers want. That way, you’ll select those improvements for which the market is willing to pay. Beware of overimproving. If you do it yourself, do it right. Keep your improvements consistent with the quality of your home and the character of the neighborhood. If you decide that you can’t do the job yourself, be sure to contact a reputable contractor. Pay a fair price for improvements, not an inflated price. Also be sure to consider energy-efficient improvements. While they may not save you a great deal of money now, as energy costs increase, so will your savings. Many buyers are looking for “green” and “smart” features in homes these days. Even something as simple as installing a smart thermostat can be an attractive bonus to buyers. Most importantly, obtain any necessary permits to make sure your improvements are legal. Illegal improvements might not add value. In fact, work done without the necessary permits can create problems for you and the new buyer when it comes time to finalize a sales transaction. I would be happy to discuss ideas and a strategy with you that would be appealing to buyers. Let me know how I can assist you! Thank you. Enjoy your home more today — and sell it for the best price tomorrow. When it comes to home improvement, some dollars stretch more than others. And if you’re on a limited budget, it becomes even more important to spend those dollars wisely. Here are eight affordable (under $5,000) home improvement projects that’ll help you enjoy your home more today and provide excellent financial return in the future. Decorative molding is a classic touch that’s been around since the ancient Greeks and Romans first installed it to add grandeur to their buildings. Centuries later, molding is still one of the most dramatic ways to dress up a room. 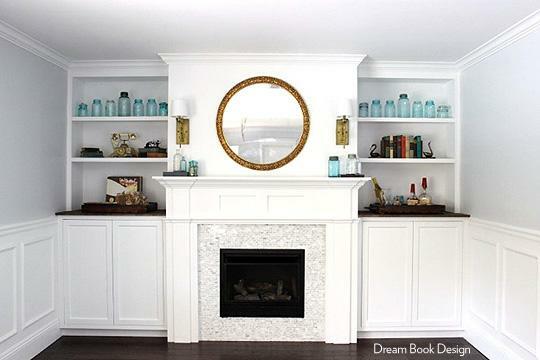 It’s a budget-friendly improvement that trims a room for a finished and expensive look. Today’s wood moldings come in hundreds of options — from simple to ornate — that you can stain, paint, or leave natural. You can also find moldings in flexible materials, such as foam, that make installation a whole lot easier. Some moldings even include lighting that casts a soft, ambient glow. 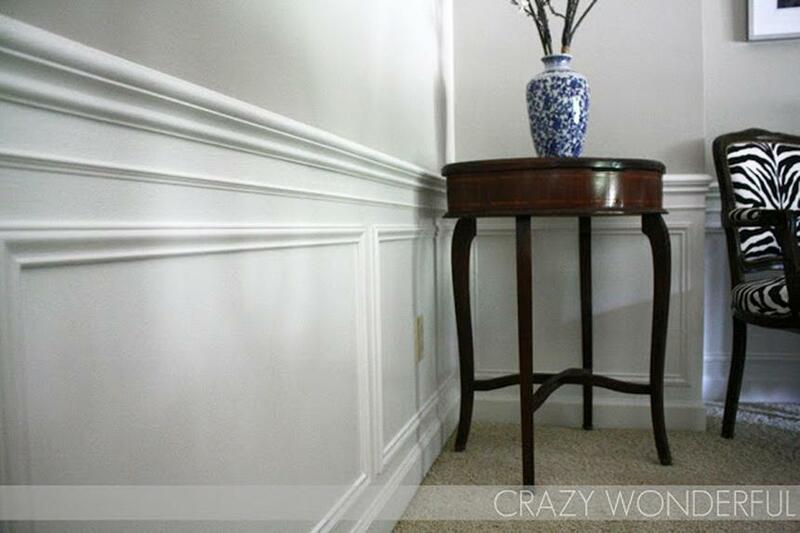 Use crown molding to make a room seem bigger and taller. But be careful about proportions. If your ceiling height is 9 feet or less, go with simpler styles to avoid overwhelming the room. Place a chair railing at one-third the distance of the ceiling height. Chair railing placed incorrectly can make a room seem out of proportion. Don’t forget entryways, doors, and windows: Bump up the trim around these areas to give rooms a completed and expensive feel. If crown molding and chair railing were #3 and #7 on buyers’ decorative wish lists, what was #1? Over the years, ceiling fans have become quite the crowd pleaser. Once they were just a cheap solution to rising energy costs — ugly, wobbly, noisy eyesores endured because they were cheaper than air conditioning. Today, ceiling fans have evolved into an essential component of American homes as energy prices continue to rise. And since designs have caught up with the times, they come in a variety of styles and colors to complement any room. If your ceiling fans are old and outdated, new ones (coupled with a fresh paint job and crown molding) could give your rooms a refreshing update while saving money. Ceiling fans should hang 7 to 8 feet above the floor. If you’ve got a low ceiling, buy a hugger ceiling fan that’s flush-mounted. Size matters more than the number of fan blades. Go for the biggest Energy Star-rated fan that will fit the space. Choose quality. You’ll get better cooling results, less noise, and good looks at a digestible price point of $200 to $600. Say what? 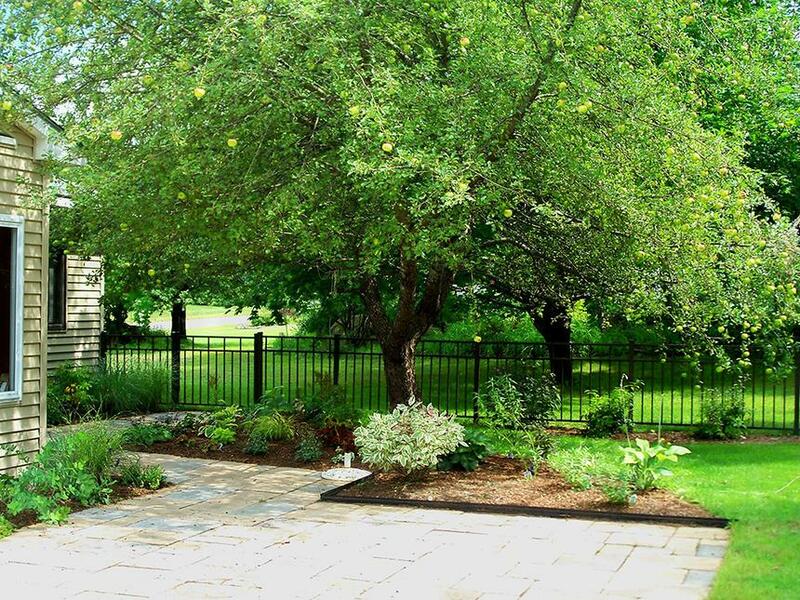 Adding trees doesn’t instantly pop into your head when you think of adding value to your home. But trees are moneymakers that get better with age. A mature tree could be worth between $1,000 to $10,000, says the Council of Tree and Landscape Appraisers. A 16-inch silver maple could be worth $2,562, according to a formula worked out by the Purdue University Cooperative Extension Service. In urban areas, money really does grow on trees. A recent study of home sales by the Pacific Northwest Research Station of Portland showed that street trees growing in front of or near a house boosted its sale price by an average of $8,870 and shaved two days off its time on the market. Follow the sun. Plant shade trees on the south side of the house where the sun beats strongest and longest. Follow the wind. Plant windbreak trees, which can lower winter energy costs by 30%, on the north and northwest sides of your property. Don’t plant too close. If you do, branches can scrape roofs and siding, causing expensive damage. Rule of thumb: Don’t plant trees any closer than the tree’s mature height plus one-fourth of that height. So, for example, if a tree reaches 40 feet, it should be planted at least 50 feet from any other trees. Related: Good Landscaping Adds HOW MUCH Value to My Home? Patios are a great cost-effective way to increase your home’s living space without actually adding on. Plus you’ll recover 30% to 60% of your investment. A $2,000 patio would return around $900 at resale. Check property for slope, sun, and shade patterns. Remember ‘dig alerts’ that utilities provide free of charge. Don’t skimp on patio lighting. It can make all the difference in functionality and beautification. The peace of mind that comes with installing a home security system is priceless. In reality, price varies. You can buy and install it yourself for $50 to $300, or a security company can sell and install a system from $0 to $1,500. The “zero” is the hook companies use to lure you into signing a multi-year monitoring contract that ranges from $95 to $480 per year. If a monitored system suits your needs, you’ll also get a break on your home insurance. Most companies will discount your annual rate 15% to 20% if you have a security service. Home security systems also make your home more marketable: 50% of homebuyers (in the NAHB survey) say a home security system — particularly security cameras — tops their list of most-wanted technology features. You can go over the top and install high-tech security gadgets, like smartphone-operated locks and a laser trip wire. Or you can keep it simple with a keypad that communicates with sensors and motion detectors throughout your house. If you do decide to go with a monitoring system, choose a company with a 10-year track record to ensure reliability. Don’t rely on any system as your sole means of security. Locking doors and windows is still your best first-line of defense. The value of energy-efficient houses just keeps going up and up. A UCLA study examined the sales prices of 1.6 million California homes from 2007 to 2012 and found that homes with Energy Star, LEED, or GreenPoint certification had, on average, a 9% higher price. That finding is echoed in NAHB’s report that surveyed homebuyers across the nation: Nine out of 10 potential buyers would select an efficient home with lower utility bills over a less efficient home priced 2% to 3% less. One energy-saving home improvement project that not only saves energy but gives you tons of enjoyment, too, is converting a wood-burning fireplace into a gas one. If you like to crunch energy numbers, gas fireplaces have energy-efficient ratings as high as 77%, compared with wood-burning fireplaces that convert only 15% of wood’s energy into useful heat. In fact, 39% of homebuyers say a gas fireplace is an essential or desirable feature of the next home they purchase. So when it comes time to sell your home, more than one-third of potential buyers will be looking for a gas fireplace. In the meantime, it’ll be paying for itself in reduced heating costs. A direct-vent gas insert most closely replicates the wood-burning experience at a cost of about $3,000 to $4,000, installed. If you don’t have an existing fireplace, you can install a direct-vent (vents directly outside so you don’t need a chimney) gas fireplace for about $5,000 (installed and finished). We don’t have to sell you on the value of storage and built-in organization. Since when have you heard someone complain about too much storage? Never, we bet. Adding storage is a no-brainer, but it does take a little brainpower to find your home’s hidden storage. Open drywall to create storage cubbies between your wall’s studs. Install platform storage that hangs from your garage ceiling. Even stairs can give you more storage. One clever mom repurposed an old chest of drawers and created storage within a basement staircase. And with technological advances in solar lighting, it’s easier and more cost-effective than ever to boost your home’s nighttime curb appeal. 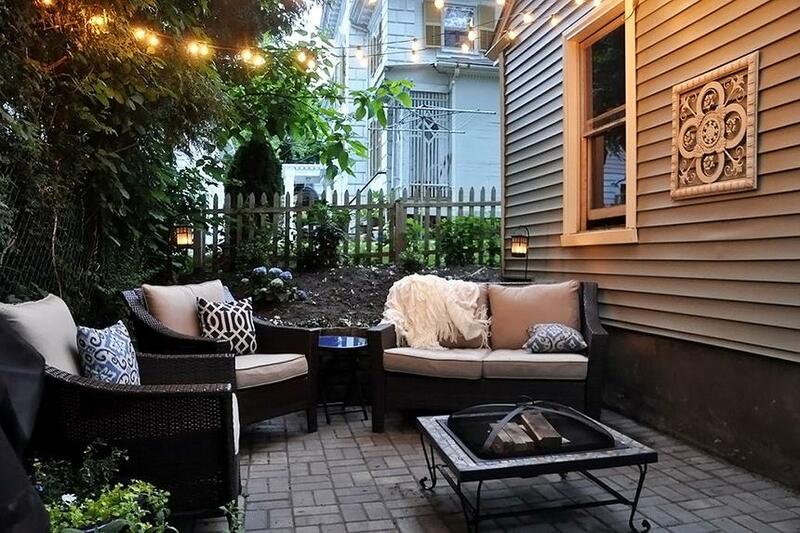 Plus, 90% of buyers say outdoor lighting is on their list of desired home features. Place accent lights under your favorite trees to show off your landscaping’s top earners. If your lights are hard-wired, put them on a timer so you don’t waste energy running them during the day. Choose a warm white light. It’ll make your home look and feel welcoming. Hope that you have a fantastic weekend, whatever you choose to do! If you are thinking of remodeling or updating your house or yard, this is a great event to attend for ideas and to see the newest products. Pokemon GO has quickly become an international sensation. This Saturday, players from all over Tampa Bay will gather downtown for a huge Pokemon Pub Crawl. The festivities begin at Jannus Live at 2pm and will move to designated zones beginning at 3pm. This event is 21+ and is free to attend. Check with Jannus Live for details, 200 1st Avenue N.
The campers from the very first Girls Rock Camp St. Pete will be performing LIVE in front of an audience of friends, family, supporters and fans! 2-6pm. $10 for adults, $5 for kids 13 and under (cash only at the door). The Local 662, 662 Central Avenue. Enjoy the new Chefs Tasting Menu at Stillwaters Tavern with 3 courses for just $19.99 Starter: House or Caesar Salad; Main: Grilled 5 oz Tavern Steak, Fish of the day, or Char Siu Chicken Ramen; Dessert: Brioche Bread Pudding, Almond Tart with Citrus Curd and Pears, or Summer Berries with Ice Cream. Available 4-7pm. Call 727-350-1019 for reservations. Stillwaters Tavern, 224 Beach Drive Northeast. The Florida Bjorkestra: The Music of Bjork and Kate Bush, with Jamie Perlow and Whitney James at Palladium Theater. (This is something new and different to attend. Fifteen piece ensemble of local luminaries known as The Florida Björkestra bring the sound, arrangements and quirky harmony of Icelandic artist Björk delivering chamber-pop renditions of songs such as Human Behaviour, Army of Me, Hyperballad and I’ve Seen It All. The orchestra features strings, horns and chorale backed by bass, drums, guitar and piano. Vocalist Jamie Perlow fronts the group. 6pm. $15 in advance, $18 day of show. Palladium Theater, 253 5th Avenue North. According to the 2016 Remodeling magazine Cost vs Value survey, the average return on home improvement projects was 6.7% higher than the previous year. This may vary a bit, of course, depending on where you live. Where home prices are higher and job growth is strong, the payback is much higher. Curb appeal is number one. Buyers generally make up their minds about a place within the first 30 seconds. They may not even go into the house if it looks drab, in need of repairs or paint and has overgrown landscaping. So it makes sense that the number 1 return on improvement is to spruce up or replace the front door and entry. I have received several emails in this last month regarding which are the “in” colors for painting the front door this year. All, of course, have different ideas but generally bright, clean & inviting. By replacing or upgrading the front door you should see about 91% return. Not bad. Also make sure that your address numbers are visible from the street. Then add a colorful planter too. Get new siding, which yields about 75%, replace the roof at 72%, build a deck about 75%, refresh the kitchen gives you 83%, renovate bathrooms will give you about 66% (new bathroom will add even more), family room-68%, remodel the basement for 70% if you live where basements are present-not too many here in Florida. But surprisingly, the REAL number one upgrade is something that you can’t even see-insulating the attic. Excellent advice-stride for the perfect blend of form, function, and meaning when remodeling. Growing up, I always wished I had an older brother or sister who could tell me what was cool. Back in the day, I wanted someone to explain which bands were awesome and which ones were “posers,” as was the vernacular at the time. Now that I’m about to purchase my first home, there’s a part of me that wishes I had an older sibling who was working on making their second or third house a home. What disastrous remodeling project would s/he warn me against? Is my DIY idea going to be a homey improvement, or cheesy and impossible to resell? Is wallpaper a natty way to dress up a nook, or is it a literal pain in the neck that will be outdated by the time I’m done Instagramming it? Sure, there’s Pinterest and Houzz and a million other home improvement blogs I could consult with my specific design queries. But what if I want to have a conversation? What if I wanted to page through the potential of my new home, room by empty room? Well, I’ve decided on adopting Sherry and John Petersik as my know-it-all older sibs. * Not that they’re arrogant (quite the opposite really) but they have much more experience than I do at this sort of thing; they have three home purchases and countless upgrade projects under their collective belt. The couple started blogging about their home adventures some seven years ago, and continue to do so at Young House Love. Now they’re on their second book (Lovable, Liveable Home: How to Add Beauty, Get Organized, and Make Your House Work for You, due out from Artisan publishing on Sept. 22) and reading it, I can guess how the first one found its way onto the New York Times Bestseller list. Their advice is eminently approachable and chic while always keeping cost considerations as part of the conversation. Among their own step-by-step project instructions and case studies from home owners around the world who conquered their own design issues, they sprinkle in snarky asides from their dog, Burger, poll results of their sizable readership on trends and common home conundrums, and realistic but flexible rules you might glean from an interior design class. My favorite part is the Petersik’s approach to infusing personality in one’s home. Because, please: Who wants to actually live in Martha Stewart’s house? No thanks. Instead, the guiding principle of their advice is to try for the perfect blend of form, function, and meaning. Having the most efficient, workable house (function) is no better than having the most beautiful one (form). Then again, no one picks up a home design book with the intention of wallpapering the whole place with their children’s amateur artwork (meaning). The key, say the Petersiks, is to marry these three ideas as best you can in each project. Above all, this is a practical read. The Petersiks include considerations for families in all stages of development and often make note of the most durable, easy-to-keep-nice options available to each project. They’re keen on helping home owners make a good use of the space they have (whether that’s too much or too little). I’ve been trying to read it slowly, because we haven’t moved in yet and I think it’ll be more useful when I’m actually in our new space (can you tell I’m counting the days?) But I can’t put it down, so I guess I’ll be reading it twice. It’s the most addictive home design guide for new-ish, young-ish home owners I think I’ve ever come across, and I highly recommend it as a closing gift, or even a staple in your office. Because we all need a big brother or sister’s advice from time to time. *I should mention here that I draw plenty of inspiration from my little brother and sister-in-law’s adorable home in Minneapolis and my husband’s brother and sister-in-law’s super cute Salt Lake City home, and I wouldn’t give any of them up for the world! Meg White is the multimedia web producer for REALTOR® Magazine and administrator of the magazine’s Weekly Book Scan blog. Contact her at mwhite[at]realtors.org. This weekend I came across these 6 videos that I though might be useful for others to see too. There are great ideas for kitchens, backsplashes, front doors and outdoor rooms. Please let me know what you think or if you have other home ideas that you would like to share. You want to buy a home, but you don’t want to pay 20% more for a brand new home with all the bells and whistles already built in. It just so happens that you’re pretty handy and are willing to trade in some ‘sweat equity’ for a great deal on a house that just needs a little TLC. Buying a place that needs some upgrades is a tried and true formula for getting more house for your money. However, not all “fixers” are the same, and not all of them are going to be right one for you. This is the house that just needs a bit of clean up. The sale price is discounted slightly because the sellers and their agent know that there is work to be done. For whatever reason, the sellers didn’t want to invest anymore time or money in the house prior to sale. Things like new paint, carpet, countertops, lighting, landscaping and a few new appliances will give this cosmetic fixer the face lift it needs. A few dozen trips to the home improvement store should do it! It may be downright ugly, but it is beautiful to you! It has all the right things wrong with it. This is the fixer that needs more extensive repair and remodeling work than the ‘Cosmetic Fixer’ mentioned above. If you can see its potential beauty, and are willing to commit to the work, you will get the deal that others miss. Outdated Bathrooms: There are so many great options for bathroom upgrades now at your local home improvement store. You may need to bring in a plumber and tile guy but it will be worth the effort. A House With Pets, Smokers Or Other Bad Smells: Nasty smells aplenty turn off other home shoppers, but a revamp of carpets and drapes and new paint will usually take care of that smelly issue. Lots Of Small Rooms, Creating A Choppy Or Claustrophobic Feeling: Look for potential to remove a non-load bearing wall that could open up a kitchen to a living room or den, giving you that all desirable open floor plan. When I say ‘a house with the wrong things wrong’, this is the one I mean. This “tear down” house with “broken bones” is the money pit you must run from. If a house has major structural, geological, or severe foundation or environmental problems, you don’t want it. I repeat – you don’t want it. Even if you get the house on the cheap, some problems never go away and are sometimes impossible to fix, no matter how much money you throw at them. This is a Pandora’s Box you do not want to open, because you will never see that money back. BUYERS: What’s a deal breaker for you in a fixer-upper house?